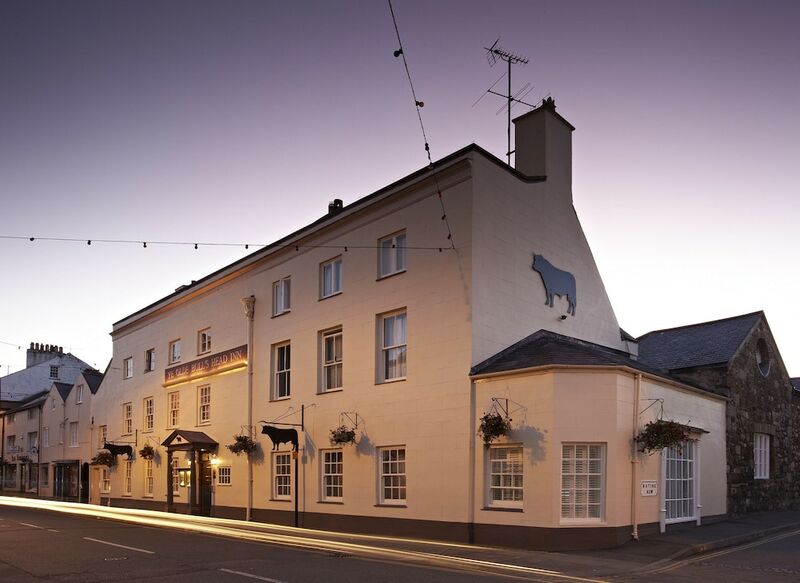 Located in Beaumaris, The Bull - Beaumaris is by the sea, a 2-minute drive from Beaumaris Castle and 8 minutes from Plas Cadnant Hidden Gardens. This 5-star inn is 6.5 mi (10.5 km) from Bangor University and 12.6 mi (20.3 km) from Caernarfon Castle. Stay in one of 25 guestrooms featuring flat-screen televisions. Complimentary wireless Internet access is available to keep you connected. Private bathrooms with separate bathtubs and showers feature complimentary toiletries and hair dryers. Conveniences include coffee/tea makers, and housekeeping is provided daily. Grab a bite at Brasserie, one of the inn's 2 restaurants, or stay in and take advantage of the room service (during limited hours). Wrap up your day with a drink at the bar/lounge. Full breakfasts are available daily for a fee.